Caleb Sizemore approached the speaker’s platform, to address the Board of Directors of the California Institute of Regenerative Medicine (CIRM). Two things stood out: an astonishing smile, lit by blazing blue-green eyes — and the carefulness of his walk. He seemed to be setting each footstep deliberately, as if the floor was unstable. 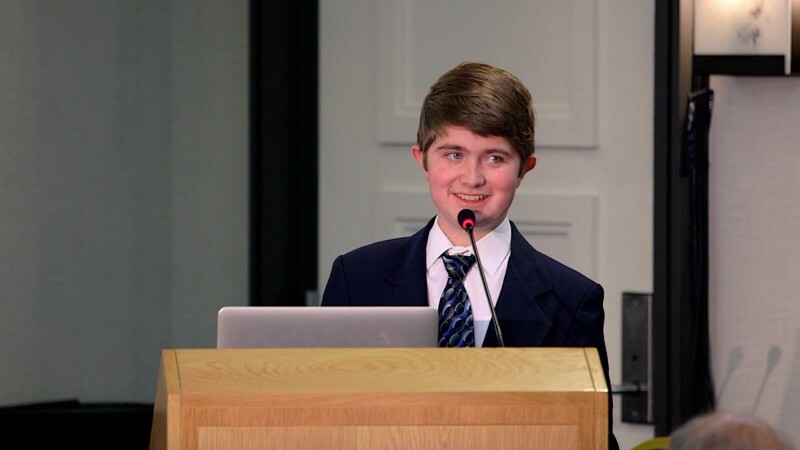 ““My name is Caleb Sizemore,” he said, “and I am a 21-year-old patient with Duchenne Muscular Dystrophy, involved in the Capricor clinical trial called HOPE, funded and supported by the California Institute for Regenerative Medicine. “Duchenne is a progressive muscle-deteriorating disease. It attacks the legs first, and most people stop walking at 12 years old, so for me it is a miracle to be walking at all. I know there is a wheelchair in my future, pretty soon,” he said, “But they have some pretty cool power wheelchairs now. He talked about death, and how his religious faith helped him deal with the possibility that he would die young, typically around 30. His whole speech was very matter of fact, even cheerful, like discussing a favorite stamp collection. I have heard many such speeches over the years, from folks with various chronic diseases and disabilities, and the suffering they endure always shakes me. But I was also waiting for something: hoping he would mention it: the moment when he became an advocate, deciding to fight back against the disease. One of my personal heroines is Pat Furlong, who lost two sons to Duchenne. She fought for them as hard as she could, and when they were gone — she kept on fighting. Her moment? Probably this. “I borrowed $100,000 and set out to find a cure for Duchenne”, she said. Years of effort passed, and she got the Federal government involved — her work directly led to an estimated $160 million research dollars for Duchenne. Today Ms. Furlong is an international authority on the disease. Not everyone can have such incredible success, but to quote her group, Parent Project for Duchenne Muscular Dystrophy: “Nobody can do everything, but everybody can do something”. And Caleb’s moment? It sprang from a rough childhood, growing up in South Carolina, teased and bullied because he could not run fast or play sports, because he was different. He would not complain about his condition, even talk about it, not wanting to stand out any more than he had to. But when he became a teenager, something happened. Helping to organize a fundraiser for research, Caleb made a speech before the whole school, and told them about his condition. He had no way of knowing how they would react. But still he spoke, and when he was through…. “They 100% supported me!” he said, and the fund-raiser collected $18,000. Today that battle continues, a life-death struggle, and Caleb is part of it. With the help of the California Institute for Regenerative Medicine (CIRM) an investigative cell therapy (CAP-1002) has been developed which has been shown to mitigate inflammation and fibrosis, potentially slowing the progression of the disease. Capricor Therapeutics, Inc. is a clinical-stage biotechnology company. Its goal is to discover, develop, and commercialize biological treatments for rare disorders. Working with donated heart cells, Capricor developed CAP-1002 to regulate the immune system, reduce scarring and potentially allow healthy new muscle to form. Caleb received a single dose of CAP-1002. He was part of a 25-patient clinical trial. Thirteen received the medication; twelve received standard care for Duchenne, but no CAP-1002. After 12 months, researchers reported significant and sustained improvements in cardiac structure and function, as well as skeletal muscle function — in those treated with CAP-1002 when compared to those who didn’t receive the therapy. Capricor has now launched a larger study (up to 84 patients) to further study the safety and efficacy of CAP-1002. In scientific terms, it is a “randomized double-blind study” that Capricor says has an easier administration protocol and could be a registration trial that would bring the therapy to market sooner. 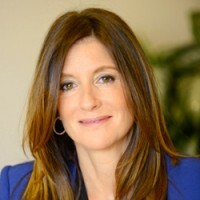 Linda Marban, Ph.D., Capricor CEO, noted that the U.S. Food and Drug Administration (FDA) has granted CAP-1002 special designations — including the Regenerative Medicine Advanced Therapy (RMAT) and an “orphan disease” classification, both of which enable Capricor to work closely with the FDA, which may help CAP-1002 become available sooner: to all with Duchenne Muscular Dystrophy. But would it work for humans? First and foremost, would it be safe? Despite all the best preparation and planning, the person who goes first is at risk. Caleb Sizemore was a pioneer, testing the new procedure with his own life. Fortunately, the only negative noted was a temporary irregularity of the heartbeat on several of the patients, at the time of the infusion of the cells, which did no lasting harm. Marban has said that Capricor no longer uses the procedure that may have led to the irregular heartbeat, so the new trial will not have that risk. Six months later, MRI scans revealed that the scarring on Caleb’s heart had not only stopped increasing, but had grown less. “I could feel my heart beating stronger”, he said. The people on CIRM’s board of directors burst into applause. Caleb Sizemore is one of the living reasons why voters approved the California Institute for Regenerative Medicine, and why it must be supported, protected, and renewed. Don C. Reed is the author of “CALIFORNIA CURES: How the California Stem Cell Program is Fighting Your Incurable Disease!”. Visit Don’s website, www.stemcellbattles.com to receive his free newsletter.